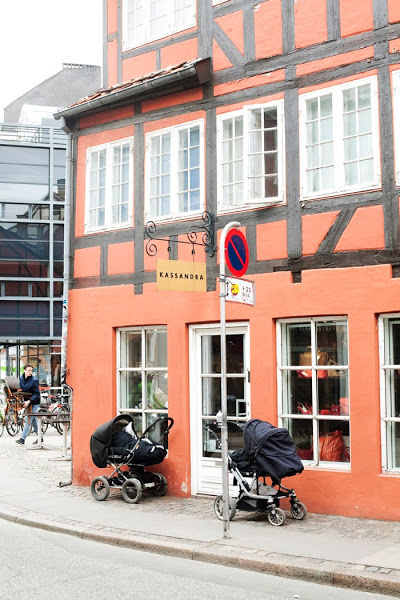 We have found a reference to this post from September 2011 on babies sleeping in prams outside cafes and shops in Denmark, in today's Motherhood Monday update on the american blog A Cup of Jo. First of all, it was really nice to see the pictures of Copenhagen, in sunny weather, posted by someone from New York. And most interesting of course was the question asked by the american blogger: outside Scandinavia (or, if you are a foreigner living in Scandinavia), would you leave your baby in a pram sleeping outside while you are enjoying your brunch, coffee with friends or indulging in a bit of shopping? I must admit that having lived in Copenhagen for quite a few years, i am finally, slowly, buying into this idea. Especially if there is 200% visibility of the pram with the baby inside it from the coffeeshop window, plus the baby is equipped with a baby-alarm. What do you think?